We supply and provide regular PPM servicing and LOLER inspections and certification on a wide range of Hoists, some of which are listed below. ​Voyager Portable with its 200kg (31st) lifting capacity provides the perfect answer. ​The market leading Dipper is for use at swimming pools and therapy pools with a specification that is highly functional and easy to use. It is proven to be a reliable and safe method of gaining access to the water and has a weight capacity of 140kg (22st). The Dipper hoist can be be used either with a spreader bar and sling arrangement or the Ranger Transporter Chair. ​The high boom maximises space for the client even when the hoist is in it’s highest position. 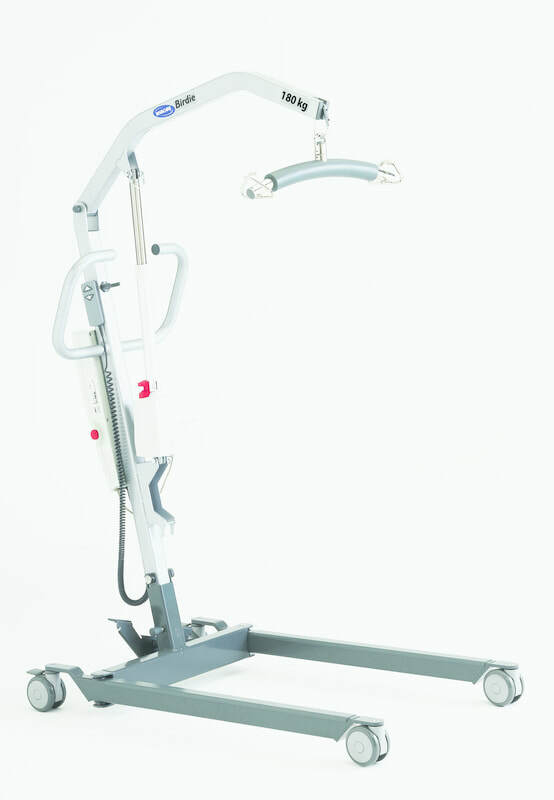 This gives an ergonomic lift and transfer as the client can be easily rotated 360°, which makes positioning much easier for the carer. The optimisation of space allows increased space in front of the actuator, reducing the risk of injury to the client’s knees and feet. The high boom maximises space for the client even when the hoist is in it’s highest position. This gives an ergonomic lift and transfer as the client can be easily rotated 360°, which makes positioning much easier for the carer. The optimisation of space allows increased space in front of the actuator, reducing the risk of injury to the client’s knees and feet. Why not ask for a free quotation ? 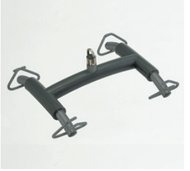 Easy to change the spreader bar – just twist the safety catch, press to open - and then detach/ attach the spreader bar. ​​Easy to attach and detach. Available widths: 45 cm and 55 cm. ​Simply step on the pedal to adjust the leg spread.